This is a new Director-level position within the Operations Division. 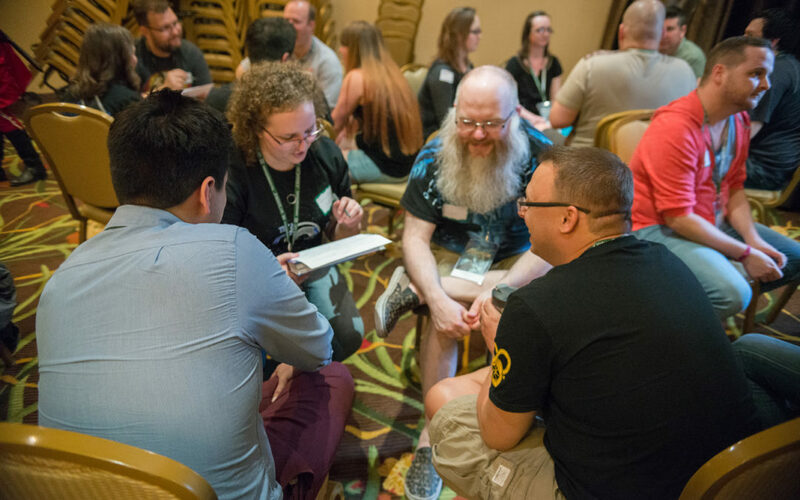 New Member Services welcomes our first-time attendees into the JordanCon family by providing information and assistance both at the convention and via social media and email between conventions. · Comfortable speaking in front of small groups. · Minimum one (1) year as a JordanCon volunteer. Candidates should have the ability to traverse and maneuver crowded hotel & convention spaces assisted or unassisted and be comfortable being part of or leading groups of people. 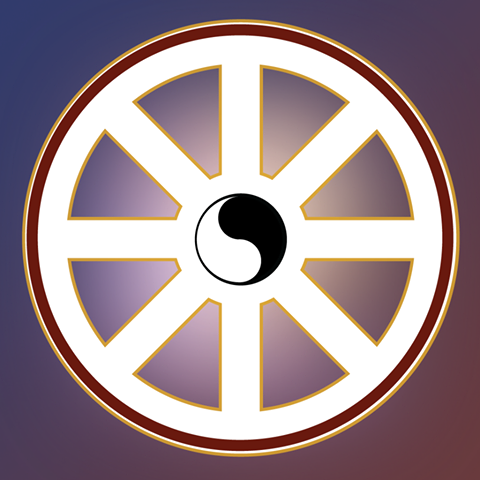 · Create/update/maintain various New Attendees resources for the website, social media, blog, etc. · Develop and maintain a New Attendee Packet with important information and helpful tips. · Solicit feedback from new attendees regarding their experiences and what we can do to improve. Interested applicants should email HR@jordancon.org and include a brief summary of their qualifications and attach a basic resume that speaks to their skills and experiences relevant to the position. Candidate review and selection should be completed by March 24, 2019. Our ConSuite will be open Friday-Sunday and will feature GF and vegetarian options. The Ravinia has three options for food: Bistro 55, The Mix Lounge, and Sylvia’s Cafe. Perimeter Mall is just across the street and features restaurants such as the Cheesecake Factory, Cowfish Sushi Burger Bar, Maggiano’s Little Italy, The Capital Grille, Seasons 52, and a food court. Perimeter Place features Carrabba’s, Chipotle, Cold Stone Creamery, Flemings Steakhouse and Wine Bar, Mimi’s Cafe, Panera Bread, Shane’s Rib Shack, Taco Mac Sports Grill, Tin Drum Asia Cafe, and Your Pie. Other nearby options are California Pizza Kitchen, Chuy’s, Newk’s, PF Chang’s China Bistro, Sage Woodfire Tavern, Taki Japanese Steakhouse, and more. For general grocery and supplies purchases, there is a Target, Total Wine and More, and Wal-Mart. Delivery services: UberEats, Prime Now, Grub Hub, and PostMates. The address to use for delivery is 4355 Ashford Dunwoody Road Northeast, Atlanta, GA, USA. The Ravinia has a shuttle! It is available from 6am – 11pm and can be used to get to locations in a 2-4 mile range from the hotel. Let’s talk quickly about the rest of our fun and great panels. We will see you Friday at 2:30pm! New In Science: 2017-2018. We put the science in our science fiction track. Royal Manticore Navy: Who Are They? A discussion on the history of the Honorverse. Blake’s 7 & Beyond. A discussion of British SF television and film. We have an amazing series of Workshops scheduled for you this year – from leather tooling and pewter casting to mum making, pattern making, crating Stormlight glyphs and more! All Workshops will have sign-up forms at Registration. Be sure you sign up early so you don’t miss your spot! You may have noticed on the schedule that Workshops typically have a nominal fee for participants. That’s to help pay for the materials you use to create the Workshop products. 🙂 All supply fees will be collected by the teachers in class. Please have exact change, when possible. Don’t forget to share pics of your amazing Workshop creations on social media using #JordanCon, #JCon10, #JConWorkshops!!!! You asked for it …. we heard you! By popular demand, JordanCon 10 will introduce the new Karaoke All-Stars Contest! This is a special set of time slots set aside during Friday Night Karaoke (from 9-10 p.m.) for competition-style, judged performances! (Registration required) Bring costumes, props and as much showmanship as you can muster! Alternate lyrics are allowed, but please keep language and the performance PG-13. Groups are allowed, but no repeat performers. Winners will take home fabulous prizes! What will the judges be looking for? • Technical Skill: This one is fairly self explanatory. How well did you sing it, whether true to the original style or adding your own flair? • Audience Reaction: This will be a bit different for every song, but how well did the crowd react to your song? Did your power ballad leave them in tears, or did your jam have them out of their seats dancing? • Showmanship/Performance: Were your costumes and props cool? Did you really “Move It Move It”? How far beyond a single person standing stationary in front of a mic stand did you go, and did you do it well? Your time-slot is 5 minutes long. This includes set up, intro comments, the song, outro and leaving the stage. Points will be deducted for exceeding time. You must coordinate with organizer Richard Fife prior to the event or you will not be able to perform. He will reach out to you via the contact info you provide during registration to coordinate getting the karaoke track to the group to practice with before hand, or to request the track should he not have it. You must have an MP3 file or something similar to perform to – there will not be internet access during this event. So “Play this from YouTube” isn’t going to cut it. Sorry! There are very limited slots. Signup will be on a first-come, first-serve basis, and we will have a wait list in the event of a no-show!